It is quite common to hear people saying on various Facebook groups that IELTS is unfair. But is it really? Most of the time, these people get a lower band score than expected, and they complain that it is unfair to make themselves feel better. However, maybe there is something to their argument. Maybe IELTS really isn’t very fair. Maybe it is slightly biased in some way. Let’s look in more depth. I see it every single day – people do the IELTS exam and get a lower score in the writing section than any other part. Their conclusion is that it’s somehow unfair. It’s true that the writing section is the biggest obstacle for most students. Writing in a new language is hard! Even native speakers make lots of mistakes. I have friends who don’t know the difference between they’re/their/there and most people I know don’t know how to use a comma. In learning English, for most people the writing section actually shouldn’t be such a big deal. If you want to go live in the UK or Canada, being able to speak English clearly is obviously the most important thing. If you can read and write a little, that should be fine. 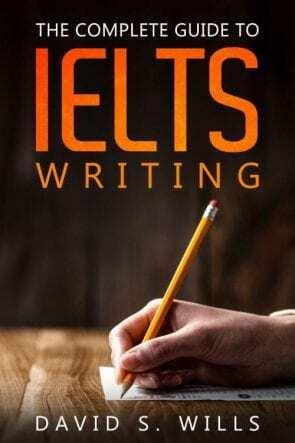 It’s a different matter with the academic IELTS exam, though… If you are going to university abroad, writing is very important, and being able to ace the IETLS writing exam should be a pre-requisite for getting accepted to a decent university. However, is any of that really unfair? Is IELTS a good judge of your English? I often hear people complain that they got a lower score in IELTS than they expected. Many of them have been living in the US or Australia and can communicate fine, but they get 6 for writing or some other less than desirable result. I honestly feel that IELTS is the best test of English that we have. It’s not perfect, but it’s a wonderful judge of English skill. If I know a person’s IELTS score, it tells me so much about their abilities. I can imagine talking to them, or reading their writing. I know that a conversation with a student who gets a 5 will be less than fluent, but we should understand each other pretty well, but that someone with 4 might be hard to speak with. However, someone with a 7 will be able to hold a relatively easy conversation. Altogether, although you may feel that you got a hard question or should have gotten a better score, IELTS is a pretty good judge of English ability. Sure, there might be slight deviations. One examiner may judge your speaking to be a 5.5 and another say it’s a 6. But those are small differences. Determining someone’s language ability is hard, and IELTS is a great way of doing it. Perhaps of great importance is this fact: It’s really, really, really difficult to cheat the IELTS! Believe me, in learning English, some people will stop at nothing for a high score, and cheating is very common. However, it is almost impossible to cheat the IELTS. Memorized phrases will get you nowhere fast. Now this is an important point, and it is definitely a good argument against the IELTS as being fair. It is true that some questions are harder to answer than others. I honestly wouldn’t know how to answer that question. I haven’t had a maths class since I was very young – about 20 years ago. I don’t remember any lessons that I learned, so how would I answer that cue card? And this is the problem. If a native speaker finds a question too difficult to answer, it is really not a fair question. Imagine that you have studied really hard to bring your English level up and you have an IELTS exam that makes you nervous… The last thing you need is such an impossible question. Of course, it is impossible to choose questions that are going to be equally easy for everyone. For me it is easy to answer questions about sport and movies and travel because I love all of these things and have lots of experience. But I don’t know anything about maths. Is it fair to have questions about gap years? Another point is that IELTS is essentially based upon a Western life experience. There are questions about taking a gap year, which is something really done by privileged young British and American students. It is certainly not something people do here in China, or most of the world. A lot of the questions are similarly biased against people from poor countries, where there are fewer opportunities. Again, I completely agree that this is quite unfair; however, the only other options are to make IELTS much more general (which risks making it too easy) or make it more regionally specific (which opens it up to cheating). To be honest, I don’t think that it is impossible for people from the other side of the world to answer most questions. There is no specialized knowledge required, and they don’t ask you about the kings and queens of English history. But certainly there is a slight bias that might make the exam easier for someone from a country more culturally similar to the UK. If you are asked about something that is unfamiliar to you, you can tell the examiner that. You can say that it’s not really an issue for you, or something that is unheard of in your country. As long as you are articulate in say that, it’s not going to be a big issue. Is it even worth learning how to write a letter nowadays? Another criticism of IELTS is that the general exam sometimes involves writing a letter. How often do people have to write letters nowadays!? Not very often. I haven’t written a letter in many years, although I do write e-mails every day. However, maybe that’s also something a little unusual now. I asked my Chinese students when they’d last written an e-mail, and most of them hadn’t written one in six months. This sort of writing is becoming a thing of the past. Knowing English letter-writing conventions is fairly antiquated, I think, but it’s still somewhat relevant. Perhaps it should be rephrased to call it just an e-mail, though. You see, the skills involved in writing a letter or e-mail go beyond just knowing whether to say “Your sincerely” or “Yours faithfully” and bring up the more important issue of simply communicating. It gives students a genuine and likely task – convey a problem and express a view, for example. Being able to do this will serve you well in life. It is not enough to write a text message to your landlord saying, “Shower’s broken. Need it fixed.” Being able to write a longer letter may seem old fashioned, but it contains a worthwhile purpose. Sometimes, students even think that the examiner was unfair. They suggest that he wasn’t very nice or she didn’t seem very friendly. It is rare to find an unpleasant examiner, but one who is unfair would not be in a job very long. The IELTS is a serious exam, monitored by Cambridge. The examiners are constantly assessed to see if they are doing a good job, and if they were giving students lower scores, they would be quickly fired. If you really do think that your speaking was of a higher level than the examiner gave you, you can appeal and have it reassessed. However, the examiner will be a professional who is doing the job to the best of his/her ability and it is wrong to suggest that they are interested in seeing anyone do badly. IELTS is not perfect, but it is certainly not unfair. In fact, it is probably the best measure of a person’s English skills. However, there are some issues with it. It could be more accessible from a cultural standpoint, and it may need modernized a little. What do you think? Has your experience of IELTS been positive or negative? How would you like to see it changed? Leave a comment down below. NextShould You Take IELTS on a Computer or Paper? Hello I hope I find you in good health. It was interesting reading your article.There are some valid points that you raised in it.I have in mind the maths question. Who could have come up with a question like that?Do the people who devise the exam ever ask themselves-how can I answer a question like that? In a foreign language at that? Another thing.Are you sure that the candidate can,quote “You can say that it is not really an issue with you or that it is unheard of in your country.”The examiner will accept that? That is open to abuse, in my opinion.A very clever way of not answering a question you dislike.Could you please elaborate on this? But what has plagued me for a long time is this. You claim that IELTS is as good an exam as could possibly be devised.That it tests the candidate’s LEVEL of English. What about the so called”trick questions”? For example the text says: Some scientists believe that ….. The question/true,false,not given/is: “Scientists believe that…..” The only difference is the existence of SOME in the text.In what way does THAT test the level of my English? Granted, it shows whether I pay attention to details,that I am clever,etc. but in no way does it test the LEVEL of my English. Thank you for taking the time to read my thoughts on IELTS. I don’t think there are really any trick questions in the IELTS exam. There are certainly some difficult ones. These test how well you can understand the written language. The reading test is designed to record how well you do various things, and one of them is pick apart language that sometimes seems tricky or misleading. But that’s part of language, right? It’s not designed as a joke – it’s just assessing how well you can read in English. As for the difficult spoken questions… I don’t know why they come up with such difficult and obscure things sometimes. Thank you for sharing this article, it is really helpful. I always hear the same complaint from my students. What I usually do is explain to them the criterion based on the band descriptor as the only basis of my teaching. Whenever I teach them the skills they needed, most particularly in writing section I always explain that these lessons are not based from what I want or what the examiner wants, but it is according to the band descriptors. That’s great! That’s probably the best way to let your students know the important facts of IELTS.